2. Add vanilla extract to the brownie mix. Add 1 tsp to 1 TBS vanilla when you are mixing all the ingredients together. 3. Add chocolate chips to the brownie mix before baking. Try mixing the “chocolate” chips in with the brownies. Try adding 1 cup of dark, semi sweet, milk, white chocolate, cinnamon, mint or peanut butter chips. Or try a mix, peanut butter and chocolate, mint and white chocolate, etc. 4. Top your brownies with white, chocolate or peanut butter chips after they bake. As soon as the brownies come out of the oven sprinkle chips on liberally, allow them to melt a little and then spread. 5. Add marshmallows to the brownie mix. Stir in 1/2 of a bag of small marshmallows into the prepared brownie batter. You could also wait to add the marshmallow till the brownies are almost done baking. Sprinkle the same amount on top and return the brownies to the oven to finish cooking and allow marshmallows to melt. 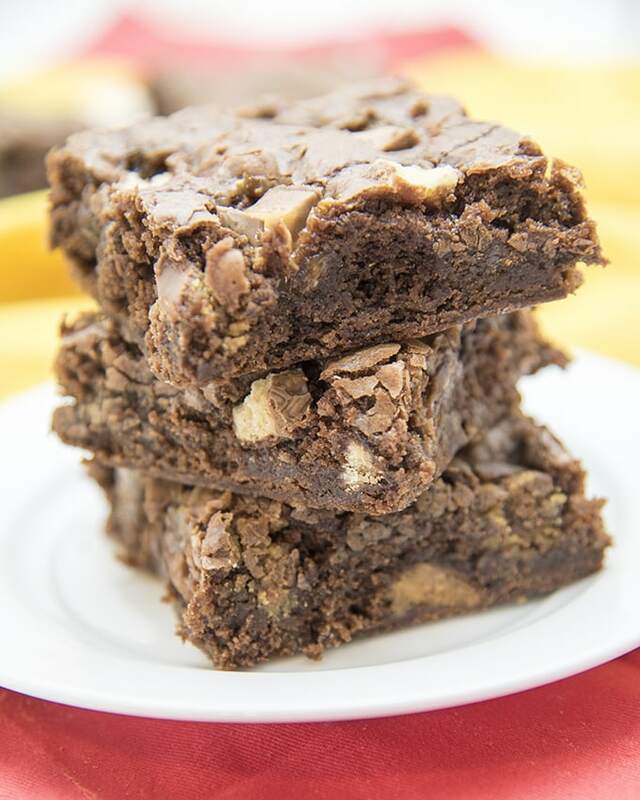 To make “rocky road” brownies try mixing in the marshmallows and some chopped nuts, almonds, walnuts or pecans. 6. Add chopped nuts to your brownie mix. Chop up some nuts with a knife or a food processor and add them to your mix before baking. Try adding peanut, walnuts, pecans, cashews or almonds. Add 1/2 to 1 cup of chopped nuts. 9. Add cookie pieces. Break or chop your favorite cookie into small pieces and add 1 cup of them into the mixture before baking. Oreos, Nutterbutters or Chocolate Chip Cookies are suggested. Try adding whole cookies to your brownies as well. Pour half of the batter, put a layer of cookies and then top with the rest of the batter. 10. 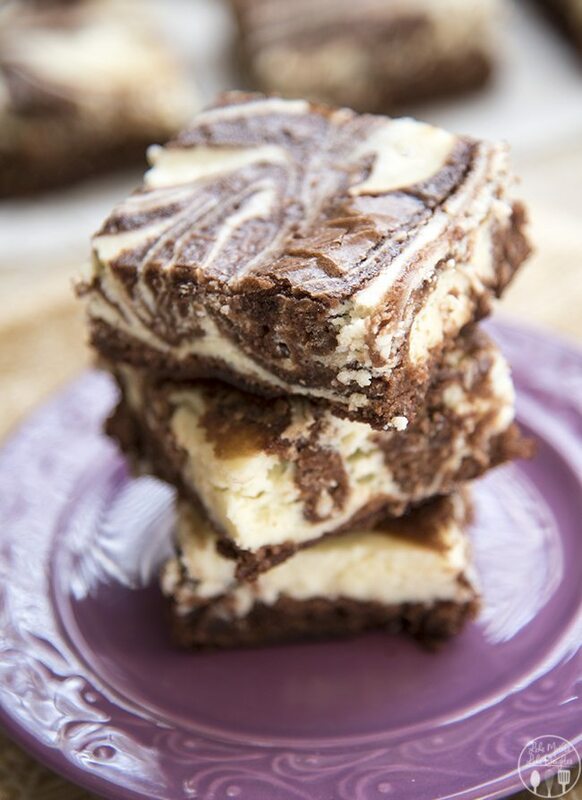 Make cheesecake brownies. Soften 1 package of cream cheese in your microwave for maybe 30 seconds and mix it with 1/2 cup sugar, 1 egg and 1 tsp of vanilla. Pour it on top of your brownie mix. Marbelize the cream cheese throughout the brownie mix with a knife. 11. Add caramel syrup to the brownies. After pouring the brownie batter into the pan, pour caramel syrup over the batter. Swirl caramel throughout the batter with a knife. 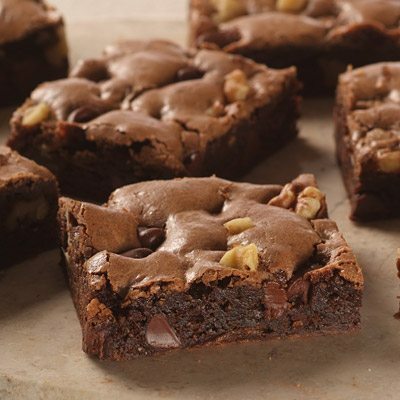 To make “turtle” brownies also add some pecans before baking. 13. 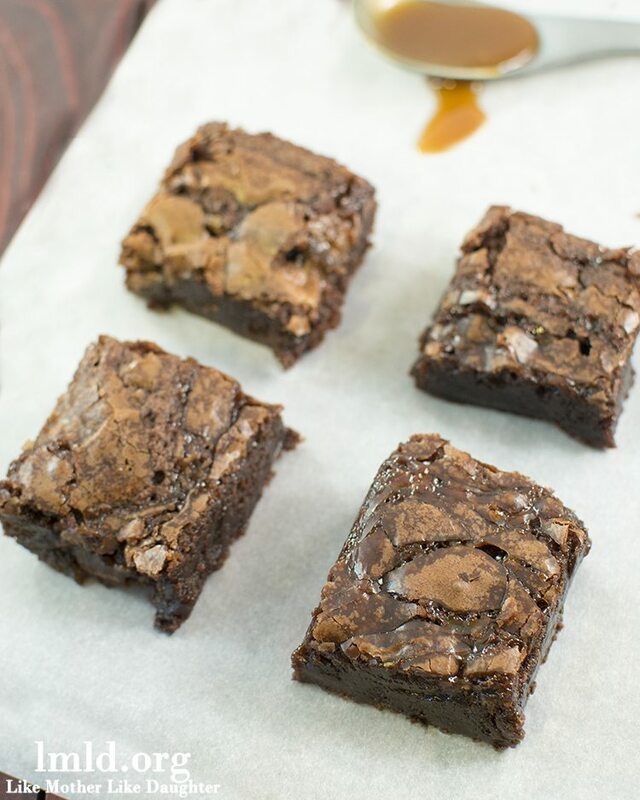 Make individual brownie bites. Do this by pouring the batter into a sprayed muffin pan instead of an 8×8 or 9×13 inch pan. Bake for about 15 minutes, checking them closely with a toothpick so they don’t overcook. (Try adding a piece of small candy or a cookie to the middle of the mix in each pan, rolos, kisses, Oreos, etc.) Try bite-sized brownies in a mini muffin pan. 14. 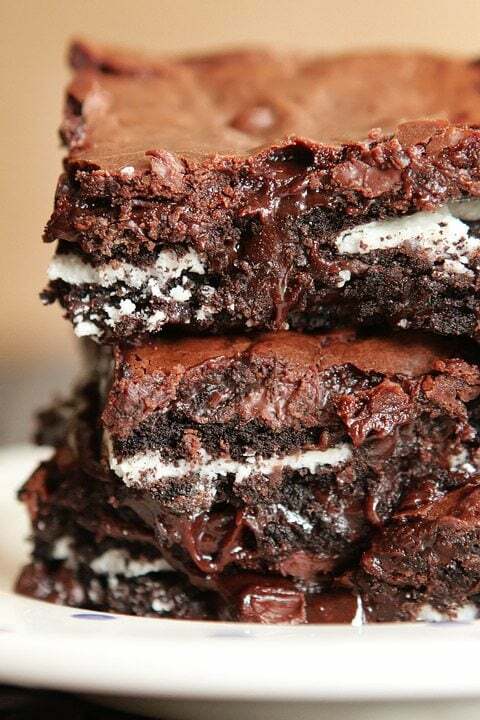 Make brownie cookies. 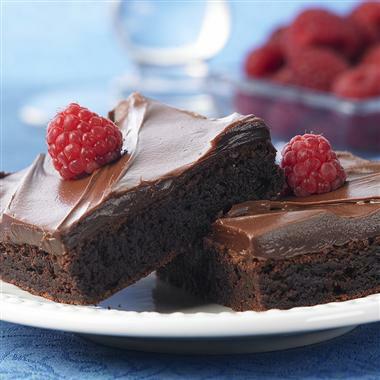 Mix brownie mix with 1 egg (instead of 2), 1/3 cup oil, 2 TBS water, and 1/4 cup of flour. Bake for about 8 to 10 minutes until the cookies look set. 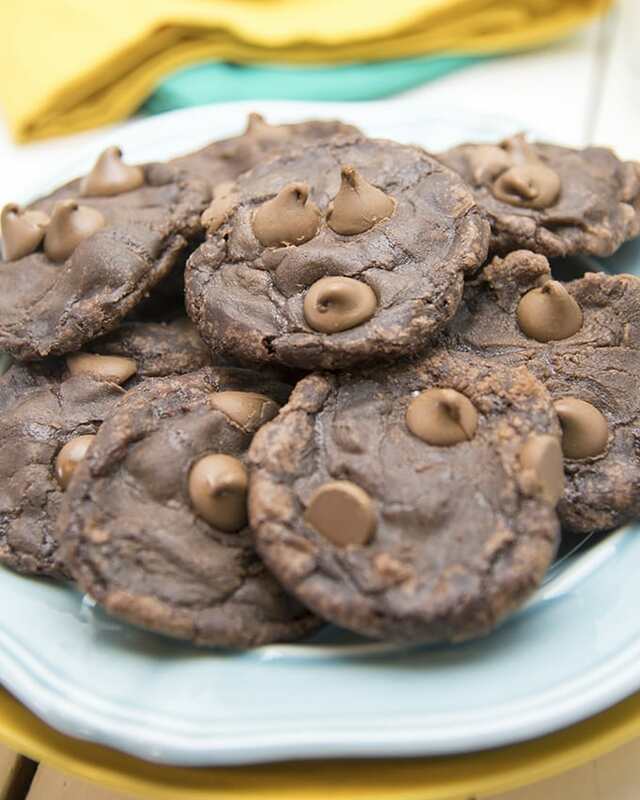 You could still try adding your favorite mix-ins to these cookies, chocolate chips, candy bar pieces, etc.